Manaya is a 19-year-old Japanese student who we often see around the streets of Harajuku. This time, we snapped him on the street in Shibuya. Manaya is wearing a Comme Des Garcons blazer with pants from Gap and Yosuke boots. 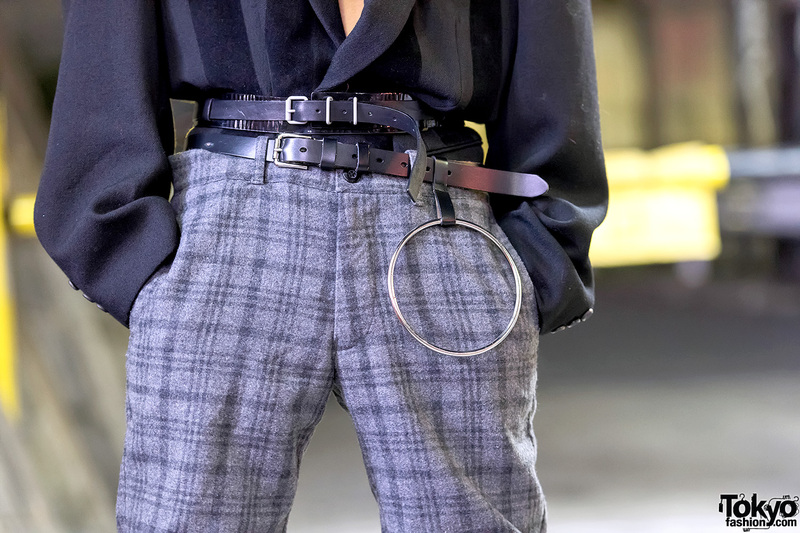 Accessories – some of which came from Balenciaga – include earrings, a Vivienne Westwood necklace, a chain necklace, several belts, and Yohji Yamamoto Y-3 socks. Follow Manaya on Instagram and Twitter.